Mouse anti Listeria monocytogenes antibody, clone LZF7 recognizes both intact Listeria sp and outer membrane preparations reacting with a ~37 kDa protein in western blotting. Mouse anti Listeria monocytogenes antibody, clone LZF7 recognizes strains of Listeria monocytogenes including ATCC 19114, LMG 16780 and LMG 23190. Mouse anti Listeria monocytogenes antibody, clone LZF7 has also been shown to cross-react with other Listeria species including L. innocua ATCC 33090, L. ivanovii ATCC 19119 and L. welshimeri ATCC 3589. This product is suitable for use as a detection antibody in a sandwich ELISA, with 0400-0030 as the coating antibody.  Please note, the activity of this antibody is reduced on boiling of the bacteria. 0400-0027 detects a band of approximately 23kDa in reduced blots of cell fragments.